Final Fantasy X HD Remaster Videos - Finally, Blitzball in HD! The time has come my fellow Final Fantasy X fans. In preparation for the new HD release of its PlayStation 2 classic, Square Enix has finally released a trailer showing off the popular pastime of blitzball in HD. The RPG/sport game hybrid is one of the deepest and most unconventional minigames in the history of the series. Five players square off against another in seamless globe of water, completely submerged for the duration of the game. How they don't drown has never been explained by its creators, nor do fans really seem to mind because it's that much fun. From there, they pass balls and kick them through a goal, much like in soccer. Only, points will determine if shots go wide or get blocked, and some shots can even cause status effects like poison or sleep. It's the closest Final Fantasy's RPG mechanics have ever come to powering a true-and-blue sports game. 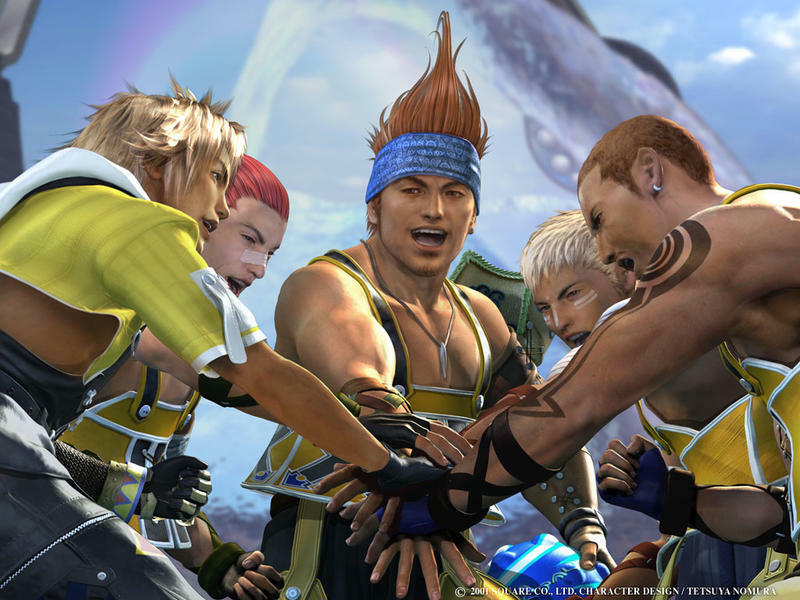 Further trailers released today show off supporting characters Wakka and Rikku. Man, I'm glad I never played Final Fantasy X in Japanese, or I think I might have had to remove my ears to protect my brain from Rikku's voice actress. No thank you. The final trailer shows off the legendary Final Fantasy X battle system. Has Square Enix managed to outclass it yet? I don't think so. Final Fantasy X|X2 HD Remaster will be available on March 18th, 2014 for the PlayStation 3.